NO TIME FOR NIGHT SCHOOL? DISTANCE LEARNING AND OTHER COURSES TOO EXPENSIVE? NEED ANOTHER APPROACH TO THE SUBJECT? Learn with The Complete Course Series at home in your own time. 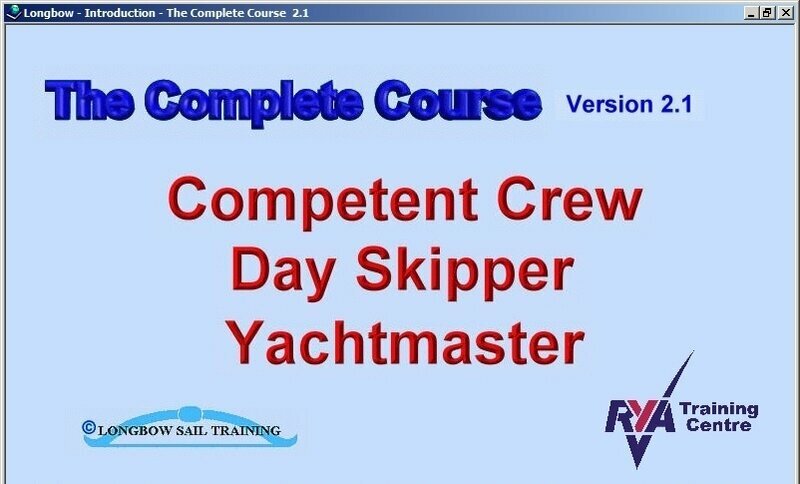 Many satisfied students have used The Complete Course to understand the theory and then taken a practical course to consolidate knowledge and gain the coveted RYA certificates. Use the course on its own or to back other classes. With its new easy to use "Contents" it also becomes an ideal revision and reference work. Now it is even easier to use as a reference work with an Index for each book in the courses allowing a search by word to be made.